patented paint protection system in ceramic glass coating that beat out 30 competing brands! 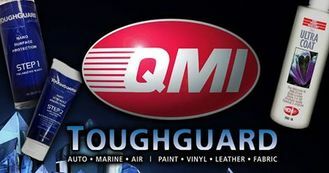 Others have tried to copy our formula, but nothing works like QMI Toughguard®. Made in USA since 1981. 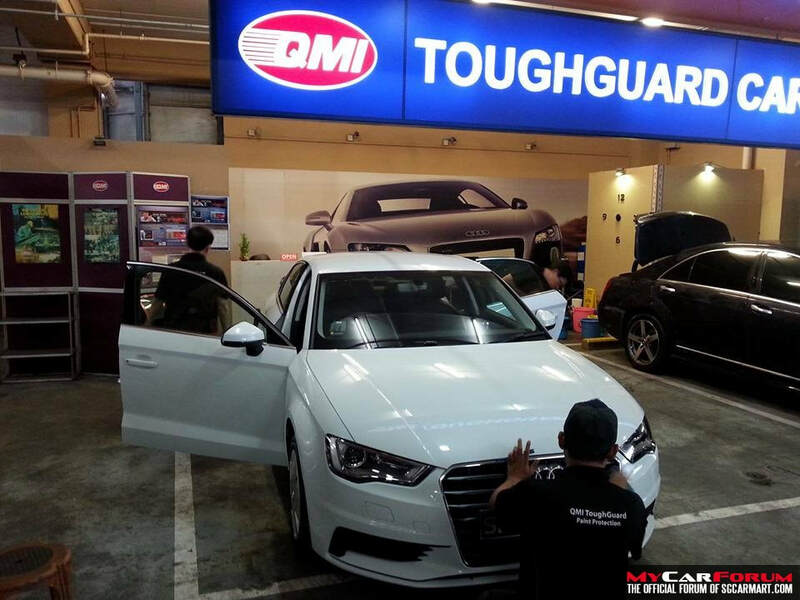 The original QMI Paint Sealant is back with upgraded combination with ToughGuard Paint Protection System. Available in Singapore since 1998. Please take note that only at our workshop in Pioneer Point that we provide the Real Original QMI Paint Sealant & ToughGuard Paint Protection System. The rest are fake. 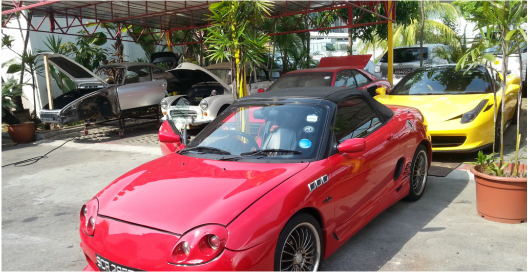 QMI ToughGuard Car Grooming Centre started more than 2 decades ago. Our experience in Paint Protection Coating and Paint Restoration goes a long way since 24 years ago when we were trained by the professional Americans from the QMI Team. QMI has developed a polish & coating system that uses high quality; durable ceramic coat elements, PTFE (Teflon) resins and specialized surfactants and polarity charged agents. In short, the formula is a very expensive, high quality and a superbly engineered product. The conglomerate is designed to fill the pores of the paint with a unique PTFE resin and ceramic plasticizer. This forms a barrier and coating which prevents penetration of any other elements. It is highly durable, anti-static, transparent, non-stick, chemically inert, protective layer and gloss enhancer. In fact, PTFE is known in the Guinness Book of World Records as the “Slickest Substance Known to Men”. 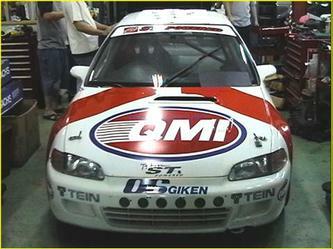 QMI Ultra Coat Paint Sealant was engineered to allow the total formula to fuse, powerfully bond and crosslink (polarity charged using negative & positive poles concept) that seal, coat and form a tough shield to the original factory paint finish. To allow all this to happen, a special surface preparation is part also of the system. In the preparation solution, a “cationic” (positive) surfactant is used to purge the pores of the surfaces to be treated, and magnetically charge the surface of all chemicals in a positive polarity since metal are by nature in positive polarity already. The pores are cleansed and fully charged and are ready to receive the unique “anionic” or negatively charged molecules of the QMI formulated PTFE (Teflon) resins. These molecules are pulled into the pores magnetically and held there while all of the protective chemicals have crosslinked, bonded and cured, locking QMI PTFE into the paint and preventing drifting, fading or degradation of the paint for years to come. Protection can last up to 5 year in 4 season climate countries. In tropical and Industrialize countries, the protection may last up from 2 to 3 years. Typically, once treated, the gloss should last 5 years with proper care and maintenance. But for hot climatic regions, with proper maintenance the paint gloss can only last about 24 months or lesser as the PTFE and ceramic molecules depleted gradually. 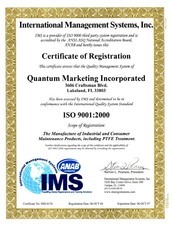 Finally, we do not claim to be the “Best”, using marketing gimmicks, gadgets and proclamation through advertisement. Our millions of customers who had used our product and services know about it without doubt. Our vast worldwide exposure for many years and tremendous track records, growth and endorsement around the world with our PTFE treatments on Industrial Engines, shows that our technology speak for itself. You will find that no other car polisher or sealants on the market who claim to use PTFE, has been able to formulate PTFE for Industrial and Marine application. Only QMI does. We had leaded and pioneered the PTFE (Teflon) Paint Sealant Coating Technology for cars in Singapore with success before any other competitor in the market since the last 24 years and had treated more that 30 thousands vehicles locally. We only specialize in Car Paint Protection Coating and Auto Detailing, Car Polish and Car Grooming, Wholesale of related Products and nothing else to distract our focus as Professionalism in this trade. 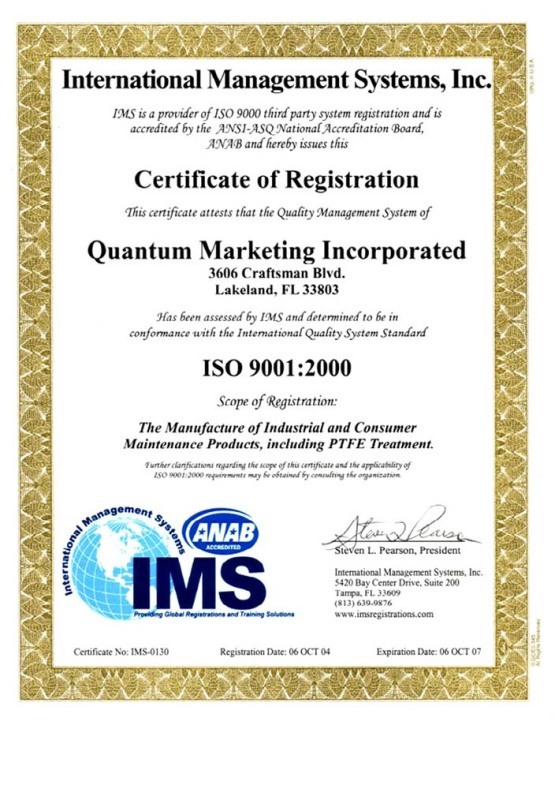 QMI has been certified and registered with DuPont as the Leader in PTFE Technology. Our technology has gone through stringent testing and we guarantee that our product & services is value for money. THESE ARE THE MANY BENEFITS ABOUT THE QMI TEFLON PAINT PROTECTION FOR YOUR VEHICLE. 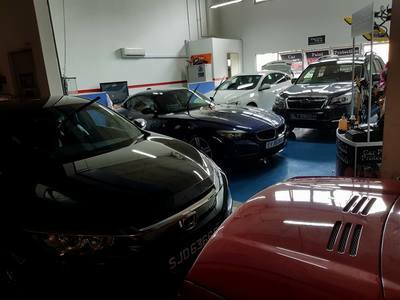 YOU WILL SAVE MORE TIME AND MONEY (less washing & no waxing) IN THE LONG TERM AND SELL YOUR VEHICLE AT HIGHER VALUE TOO!!! 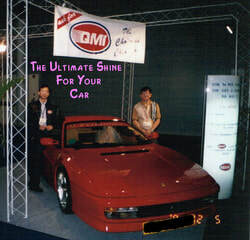 This car with cheap paint sprayed, was transformed very glossy and shiny by QMI Paint Sealant and ToughGuard System that make it look as good, if not better as the most expensive paint in the World known as Rosso Fuoco Paint that is being used on the current Ferrari cars that can cost up to more than USD 10K to spray paint. 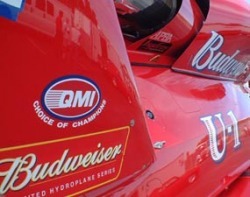 Endorsed by the World's fastest hydroplane "The Miss Budweiser"